Vanguard, the mutual fund giant, has followed the lead of Charles Schwab and Fidelity to reduce trading cost for its customers and offer commission free trade of its own ETFs. Early this year, both Charles Schwab and Fidelity announced plans to lower equity trade commissions with Fidelity going a little bit further to offer customers commission-free trade of 25 iShare ETFs (unlike Schwab and Vanguard, Fidelity doesn’t have ETF offerings of its own). Now, Vanguard has joined the party with its own price reduction and commission-free trading plans. According to the new fee schedule unveiled early this week, Vanguard customers, regardless of the size of the assets, can buy and sell Vanguard ETFs without paying a commission. Currently, Vanguard offers a total of 48 low-cost ETFs, many of them having their mutual fund equivalents. While Vanguard ETFs cover many sectors, in both equities and bonds, the trading of Vanguard ETFs is rather low. According to data from Morningstar, the most heavily traded Vanguard ETF is Vanguard Emerging Markets Stock ETF (VWO). But the daily trading volume of VWO is only about 20% of the daily volume of iShares MSCI Emerging Markets Index (EEM), one of the very popular emerging market ETFs. Remember, when selecting ETFs, the trading volume does matter. It happened before that ETFs were closed before their trading volumes were so low. As for commissions for other stocks and non-Vanguard ETFs, the new price plan has them from $2 to $7, based on the size of the assets. For example, if you have less than $50,000 in your Vanguard brokerage account, then you will get the first 25 trades at $7 commission and $20 per trade for any subsequent trades in each calender year. If you have $1 million or more, then you will get the first 25 trades absolutely commission-free and $2/trade for each subsequent trade (see Vanguard announcement for details). 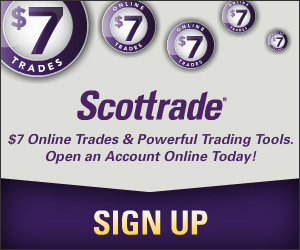 Well, though I may not use any of the above mentioned brokers for stock or ETF trading, I do like what I am seeing so far: that the commissions are getting lower (Schwab $8.95/trade, Fidelity $7.95/trade, and Vanguard $7.00/trade) and free offers are getting more generous (Schwab 8 free ETFs, Fidelity 25, and Vanguard 48). This actually makes Vanguard a much more attractive option vs Fidelity for IRA etc. I was a bit torn a long time ago, but went with Fidelity because I liked some of their mutual fund choices more, and when I was starting out — Fidelity’s minimum contribution amount was a lot more feasible. These days though the features differences between many of these ‘low cost/discounted’ brokerage are so little that I wouldn’t be surprise if I jump ship to one simply for one extra feature/option.